2017 has given excellent content driven movies with the great performances of super talent. Now ZEE Cine Awards have to announce the Best Film, Best Actor- Male, Best Actor- Female and Song of the Year, 2017. 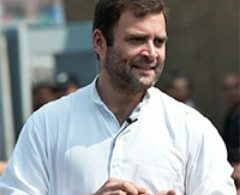 The senior actors and the superstars of Bollywood like Shah Rukh Khan, Akshay Kumar, Hrithik Roshan, have been nominated for the best actor while the new generation actors like Varun Dhawan and Ayushmann Khurrana have also joined them on the list. Best Film of the year is nominated for ZEE Cine Awards are: Akshay Kumar starrer The State v/s Jolly LLB 2; Toilet – Ek Prem Katha; Ajay Devgn, Parineeti Chopra, Tabu, Arshad Warsi, Tusshar Kapoor, Shreyas Talpade starrer Golmaal Again; Varun Dhawan Starrer Badrinath Ki Dulhania, Irrfan Khan starrer Hindi Medium and Shah Rukh Khan’s Secret Superstar. 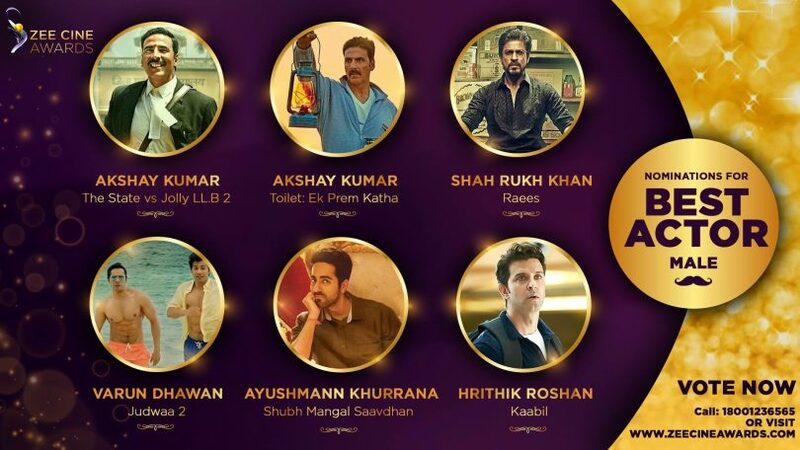 The nomination of Best Actor Male for ZEE Cine Awards includes, Akshay Kumar for The State v/s Jolly LLB 2, Akshay Kumar for Toilet – Ek Prem Katha, Shah Rukh Khan for Raees, Varun Dhawan for Judwaa 2, Ayushmann Khurrana for Shubh Mangal Saavdhan, and Hrithik Roshan for Kaabil. Ahead to the Best Actor (Female), nominations are Alia Bhatt for Badrinath Ki Dulhania, Bhumi Pednekar for Toilet – Ek Prem Katha, Sridevi for Mom, Zaira Wasim for Secret Superstar, Kriti Sanon for Bareily Ki Barfi, Vidya Balan for Tumhari Sulu. Nomination for the Song of the year includes Laila Mai Laila from Raees, Tamma Tamma from Badrinath Ki Dulhania, Chalti Hai kya 9 se 12 from Judwaa 2, Galti se Mistake from Jagga Jasoos, Zaalima from Raees, Barish from Half Girlfriend.